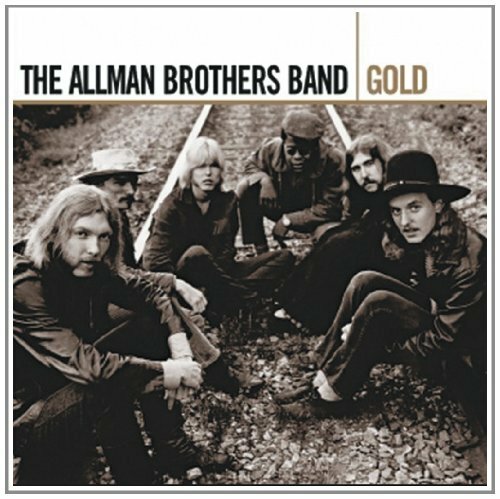 Outside of the hefty box set Dreams, the double-length Gold anthology is as comprehensive a collection of Allman Brothers Band gems from the group's initial run (1969-1979) as you'll find. Naturally, Gold is heavy on material from the albums that included guitar hero Duane Allman, including the seminal live record At Fillmore East. Hearing the sparks that fly between him and his guitar-slinging compadre Dickey Betts is a timeless thrill, whether the band are simmering on the jazz fusion-inflected instrumental "In Memory of Elizabeth Reed" or burning up Blind Willie McTell's "Statesboro Blues." Greg Allman's gritty, soulful voice made him one of his generation's most effective blues interpreters, but he could also turn out sophisticated tunes like "Whipping Post," probably the only classic rock staple in 11/4 time. But the albums following Duane's death are well represented too, and we hear Betts come to the fore on his own compositions, like the sunny, country-flavored instrumental "Jessica" and the twangy, upbeat open-road ode "Ramblin' Man."